This early-stage dementia awareness session will be delivered for Arts 4 Dementia (A4D) by Dementia Pathfinders trainer Aubrey Maasdorp, with arts workshop guidance from Imelda Dooley Hunter, A4D. Arts facilitators, workshop leaders, animateurs, volunteers and postgraduate arts students. Organisational staff in areas focused on learning, access, inclusion, development, community outreach, audience development, or visitor programmes. To give arts facilitators greater understanding, increased skills and confidence in communicating and working creatively with people experiencing the early stages of dementia and their carers. To help organisations work towards reaching new audiences, making their institutions more inclusive, and increasing their impact in the community. 10.30 Welcome - A4D on "Identity"
How else A4D can help. It was an excellent day: very throught-provoking with lots of ideas to take forward. I gained a different outlook on attitude towards engaging with those with dementia. I feel very motivated and re-energised about my work. Having been to many workshops (so feel that I am qualified to say) I thought it was fantastic, it was inspirational and uplifting (which was a surprise). The format of the day worked really well and Aubrey was a humorous, engaging and an extremely knowledgeable speaker and [the A4D workshop] insights were invaluable too. It was fantastic to meet so many like minded people from such varied artistic practices and backgrounds. It was a thoroughly enlightening day. Tea and coffee will be available on arrival and in morning and afternoon breaks. You are welcome to bring a packed lunch or you can purchase lunch at nearby shops and cafes. 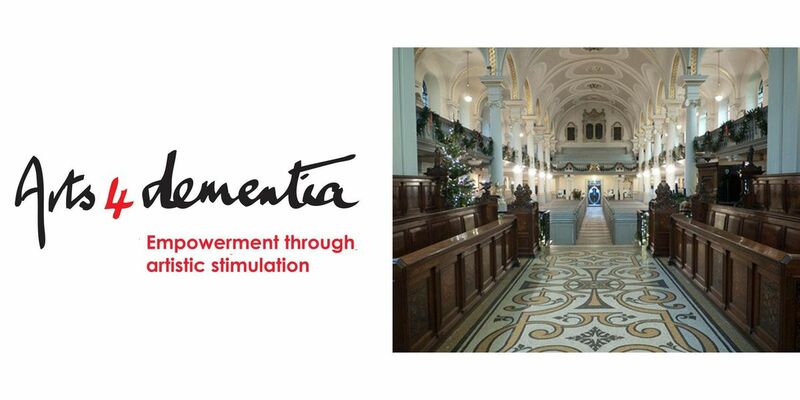 Arts 4 Dementia is facilitating the training which will be provided by Dementia Pathfinders. Details of the event including the identity of the trainer may be subject to change. In the unlikely event of the training being cancelled, Arts 4 Dementia will be liable only for reimbursement of the cost charged to participants for the training. Arts 4 Dementia is not able to offer refunds to delegates unable to attend. A delegate unable to attend may appoint a replacement delegate by advising the name, organisation represented and email address of the replacement by email to admin | arts4dementia ! org ! uk before the start of the training. Arts 4 Dementia retains participant contact information in accordance with the Privacy notice published on its website www.arts4dementia.org.uk. London Underground: Hampstead Underground Station on the Northern Line. Mainline Rail: Hampstead Heath or Finchley Road & Frognal on the Overground.